The well-traveled get a rare opportunity to stay in an ancient redwood forest while in luxury. With marshmallows toasting over a crackling wood fire and moonbeams filtering through the redwood canopy, it is a beautiful night to be glamping in the Big Sur. Situated between San Francisco and Los Angeles, where ancient Californian forests meet dramatically craggy cliffs and a thundering surf, this picturesque coastal region has been immortalised in the works of famous names – writers Henry Miller and Jack Kerouac and musicians like Alanis Morissette and the Red Hot Chili Peppers. 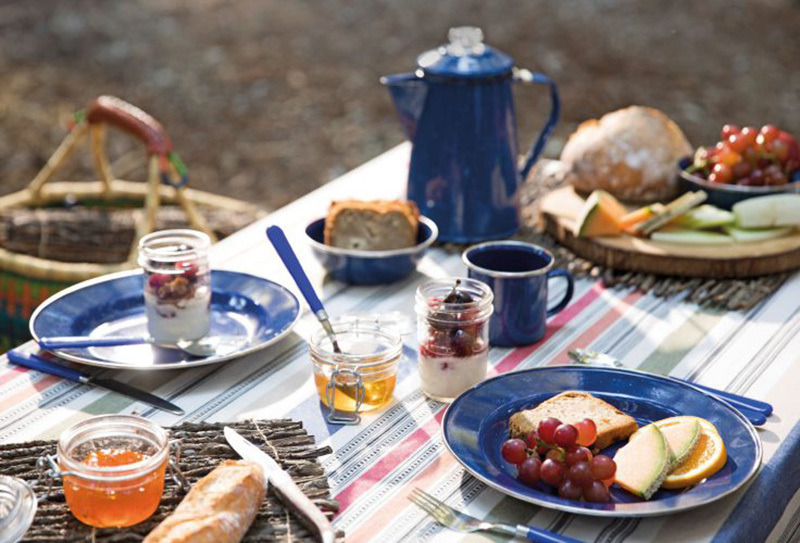 But, while the raw charm of the rugged outdoors is undeniable, especially for those who enjoy the challenges of bare-bones camping, there have been few options for those who would rather not compromise on creature comforts. 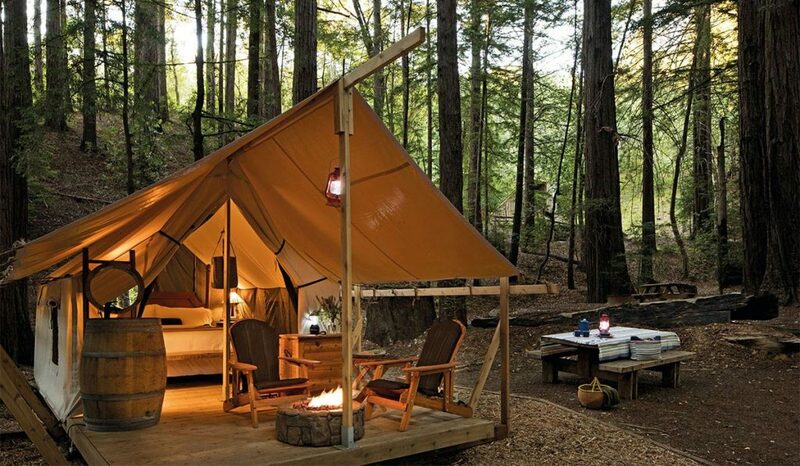 Enter the Alila Ventana Big Sur Redwood Canyon Glampsites, a sprawling 8ha site located within a redwood forest. Its 15 luxury safari-style tents are decked with five-star touches, such as plush beds and heated blankets, hot water on tap and electricity, to ensure a good night’s rest in the woods. The tents have hot water on tap. Enough said. If the sun doesn’t get guests up, surely the aroma of fresh coffee will. 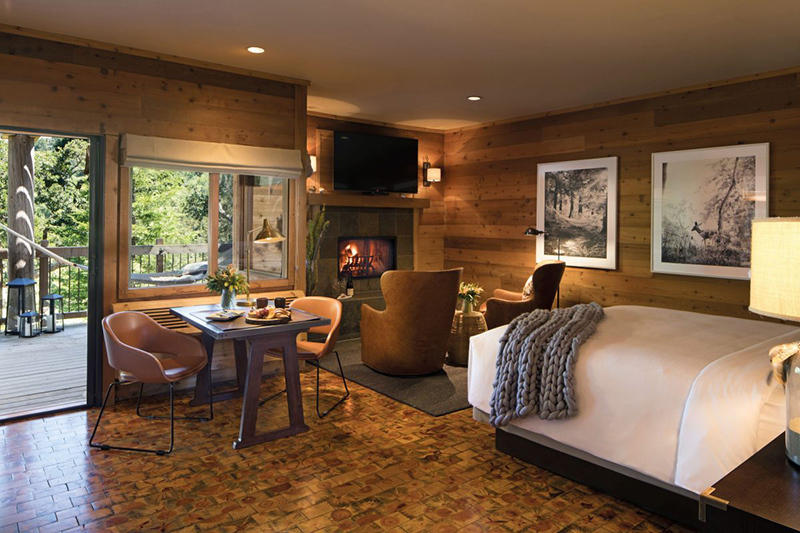 The Big Sur Suite at the resort is an ideal hideout. Much of the magic happens around the firepit under the night sky. However, getting a roaring fire started can be a challenge. Which is why each tent comes with two firepits – one is propane-powered and can be started at the turn of a knob, and the other is fuelled with logs and kindling. A thoughtfully assembled s’more kit comprising graham crackers, marshmallows and chocolate is provided, too. The chewy, goopy treat, washed down with mezcal-spiked hot chocolate, is a warm accompaniment to a night of storytelling, introspective conversation and priceless quality time around the flames. This beguiling silence in the deep woods provides a much-needed counterbalance to the countless tourists who zip down coastal Highway 1 for photographs of the crashing waves. The mystic beauty of these lesser-trod redwood paths is exactly why Alila chose the Big Sur as the location for its first foray into North America. 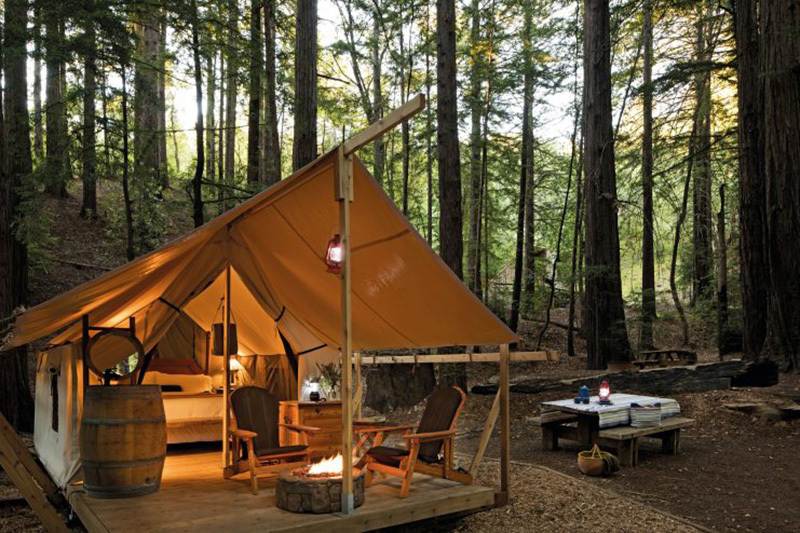 The glamp site, which is surprisingly uncommon in the Big Sur – although rustic camps abound – is an extension of the Ventana Big Sur, a luxury hotel which reopened in September 2017, following a multi- million dollar refurbishment by Alila. Camp services, therefore, are elevated. The housekeeping staff come around daily and morning coffee and muffins make all the difference when living in the great outdoors. And the most important aspect of camping for the well-heeled – the toilet facilities – is well thought out, too. In the elegant spa-like bath house are teak-cubicle showers, heated floors and marble vanities, as well as spotless restrooms. By day, guests can take a crafted hickory walking stick to explore the area’s trails and bubbling creeks, or sign up for a guided walk with Big Sur Guides and Hiking into the forest beyond the Ventana. Here, in the backyard of a storied California coast, quietude reigns, as rich as the campsite itself. Cap your stay at the glamp site with a night at the resort proper. Just like the glamp site, the focus of Ventana is very much on providing travellers with opportunities to luxuriate in the beauty of the area. The posh cabin-style Big Sur Suite, which is outfitted with hammocks on the wooden sun deck, an oversized soaking tub for two and handsome leather armchairs in front of the fireplace, is an ideal hideout. The exceptional Sur House restaurant, helmed by executive chef Paul Corsentino, showcases the bounty of the region, with ingredients sourced from local fishermen, foragers and organic farms. A simple dish of roasted local baby carrots with cashews and forbidden rice is sweet yet earthy, underscoring the lushness of this land. There’s also a 10,000-bottle cellar of small-production central coast wines from regions including Monterey and Paso Robles, assembled by a team of vintners and the in-house sommelier, for those who wish to sample local tipple. Resort activity planners can arrange mindful activities like drum circle sessions in the redwood forest. But one of the most extraordinary experiences here might just be one that’s free. Located just five minutes from the resort via a walking trail is a rare 700-year-old redwood circle of trees, creating a cathedral-like space. Such naturally forming circles were sacred ground to native tribes, says Stephen Copeland, owner of Big Sur Guides and Hiking, but most were felled in the past century during the building boom. He has traversed the region by foot and by air on helicopter tours for over 40 years and has not found another such circle, making this discovery even more precious. While tribal rituals are no longer performed here, those who care to step in will immediately notice a certain sense of quiet and calm in the shadow of these giants. Linger, meditate or simply gaze up into the sky – this gift of time seemingly slowing down is the biggest luxury the Big Sur has to offer.